Stephen Sherman is Of Counsel to Maurice Wutscher LLP in Washington, D.C. and serves as General Counsel – Americas for BSI Group based in Reston, Virginia. He has advised corporate and non-profit enterprises on a broad variety of transactional and commercial matters for more than two decades. He also has substantial experience in all aspects of employment law, and compensation and benefit plan design and related compliance matters. Throughout his career, Steve has provided legal support, strategic advice and counsel to domestic and international businesses, from Fortune 100 companies to start-ups, in virtually every industry sector, ranging from manufacturing to professional and IT services, from telecommunications to health care and from aerospace to government contracting. He has represented and counseled public companies, entrepreneurs, boards of directors and corporate and investment fiduciaries in connection with a wide range of business transactions, regulatory compliance initiatives, Congressional investigations and hearings and commercial disputes. 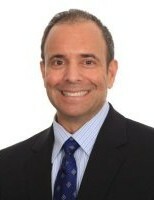 Prior to joining the firm, Steve served as Vice President, General Counsel and Secretary for SGS North America, Inc. in Rutherford, New Jersey, the regional affiliate of publicly-traded Swiss-based SGS Group, one of the world’s oldest and largest testing, certification and authentication companies. He also previously was a partner with Patton Boggs LLP in Washington, D.C, an AmLaw 100 global law firm and served as a Senior Attorney with the IRS Office of Chief Counsel in Washington, D.C. In addition, Steve served as an Adjunct Professor of Law in the Master of Laws in Taxation program at Georgetown University Law Center. He currently serves on the Board of Directors of Graydon Manor in Leesburg, Virginia, a not-for-profit residential and outpatient facility dedicated to treating children and adolescents with serious emotional problems. Steve received his Master of Laws in Taxation degree from Georgetown and his Juris Doctor from Penn State University – Dickinson School of Law, where he served as Articles Editor of the Dickinson Journal of International Law. He received his undergraduate degree in Accounting from Drexel University, graduating with high honors. Stephen is a member of the Association of Corporate Counsel. He is licensed to practice in a number of jurisdictions, including the District of Columbia, Virginia, Maryland, New Jersey and Pennsylvania. Stephen is admitted to practice before the United States Supreme Court, United States Tax Court, United States Court of Appeals for the Third Circuit and the U.S. District Courts for the Eastern and Western Districts of Virginia, the District of Maryland, the District of Columbia, the Eastern District of Pennsylvania and the U.S. Bankruptcy Court for the Eastern District of Virginia.